Gor Mahia fans carry an AFC Leopards supporter shoulder high. The AFC supporter was one of the few who showed up after AFC boycotted the Top 8 match againsgt Gor Mahia. 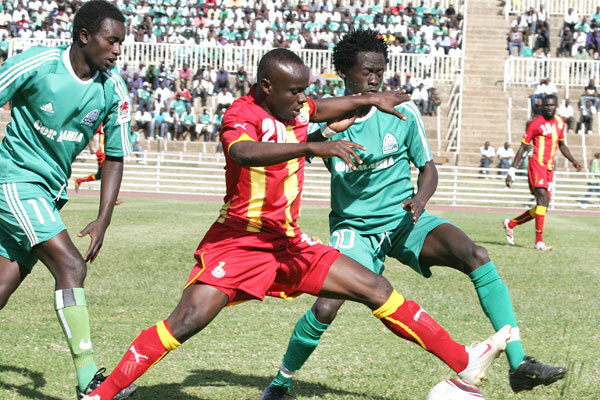 At the beginning of the 2012 season, Kogalo were going through a rough patch. So Rama Salim could only thank God when he scored. Here he is seen celebrating with Kevin Ochieng. Collins Okoth was nicknamed "Gattuso" because he was tough as nails and aggressive like a terrier. 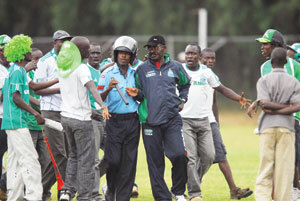 Victor Ali Abondo was sent off for fouling this AFC player resulting in crowd trouble. The foul itself may not have been that bad but Nahimana of AFC did an excellent job of acting and Abondo was indeed careless with the tackle. 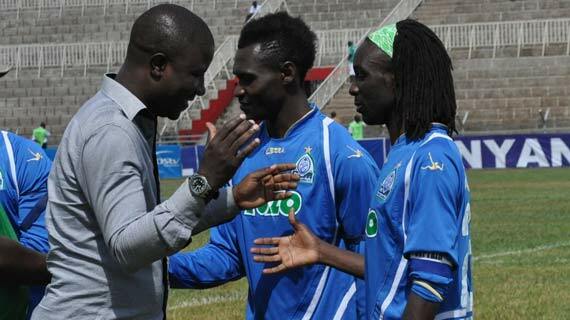 Anthony Otieno Nyangor joined Gor Mahia amid much promise after he scored against them during the tour of Kisumu. Club officials were agog about his prospects. But he never panned out. 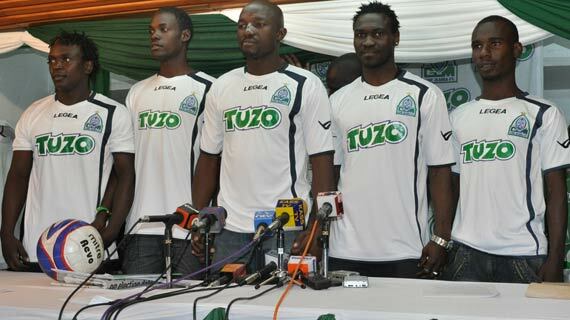 Eric Masika and Kevin Omondi showed off their Tuzo jerseys after Gor Mahia signed a historic sponsorship deal.